The Executive Secretary, West African College of Nursing, Mrs Henrietta Okedo, has called for concerted efforts to manage the natural and man-made disasters witnessed on a daily basis in the country. “With the fast changing global trends in technology and development, and its attendant effect on the lives of the masses, the health workers need to be constantly trained. “We wake up every day without knowing what the day holds in stock for us. “In Nigeria, no week passes without news of bomb blast in one area or the other. “It is, therefore, necessary for all stakeholders in the healthcare sectors to come together and find ways of managing disaster situations,” she said. She added that the country is yet to be prepared for emergency situations due to low budgetary allocations to health, inadequate equipment to manage disasters and lack of rehabilitation centres. Okedo urged the Federal Government to put in place measures that would manage disasters starting from the hospitals to rehabilitation centres. “We cannot be caught napping; we need to be prepared for these disaster and emergency situations. “Hence, the re-training of nurses and other health workers in disaster preparedness and management,” she said. Also speaking, the Course Coordinator of the event, Mrs Victoria Etuk, urged the government and other civil agencies to fund programmes that would encourage training of health officials for emergencies. 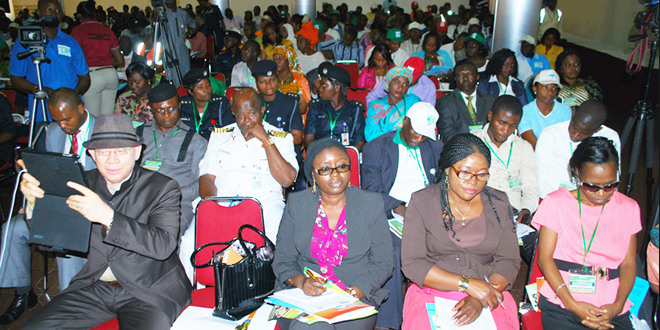 She urged nurses to acquire more knowledge on how to manage disasters and design plans in their localities in managing them. This story was published in Newswatch Times on August 29, 2015.